From “America’s librarian” and NPR books commentator Nancy Pearl comes an emotional, “Anne-Tyler-esque” (Library Journal) debut novel about an unlikely marriage at a crossroads. After a decade of marriage, nothing has changed—George is happy; Lizzie remains…unfulfilled. But when George discovers that Lizzie has been searching for the whereabouts of an old boyfriend, Lizzie is forced to decide what love means to her, what George means to her, and whether her life with George is the one she wants. 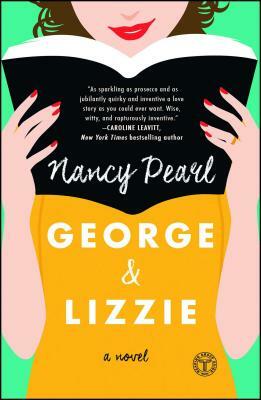 With pitch-perfect prose and compassion and humor to spare, George and Lizzie is “a richly absorbing portrait of a perfectly imperfect marriage,” (Amy Poeppel, author of Small Admissions), and “a story of forgiveness, especially for one’s self” (The Washington Post).